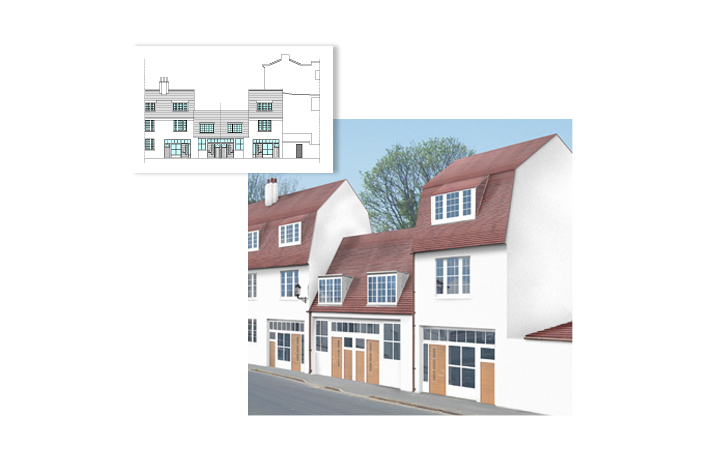 My client supplied drawings of the proposed re-development. From these I created a realistic image of the finished development. The image was used within a sales brochure to sell parts of the property from plan.